Why do Republicans pretend they are “negotiating” with Pelosi when she is not negotiating and has said NO so often? She stands pat on “No money for the wall!” The Democrats have absolutely no interest in protecting America, American’s or America’s sovereignty! Their only goal is to regain and keep total power, with illegal voters if that’s what it takes. 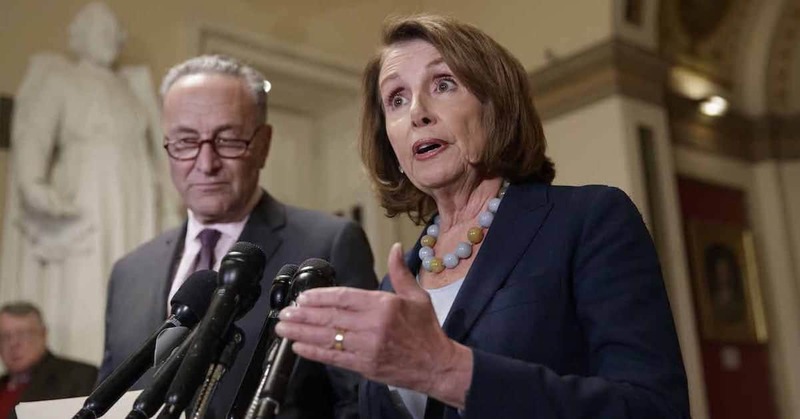 Pelosi and Schumer have shown their fear and loathing of Donald Trump. Cancelling use of the House Chamber for the State of the Union was her first shot at Trump and was met with rising resentment. Eight hundred thousand out of work non essential government drones is really of little consequence to the millions of real working Americans who have benefitted from “Make America Great Again” economic and trade policies. Our labor force employment rate is 62.3%, and Nancy Pelosi pretended to say: “The GOP attitude disrespects workers, dishonors our values and damages our economy.” Right! That’s the voice of a true believer, a Marxist shouting into a tin cup so she can hear her own echo. That is the message the Democrats want all Americans to accept as the pathway to Socialism. 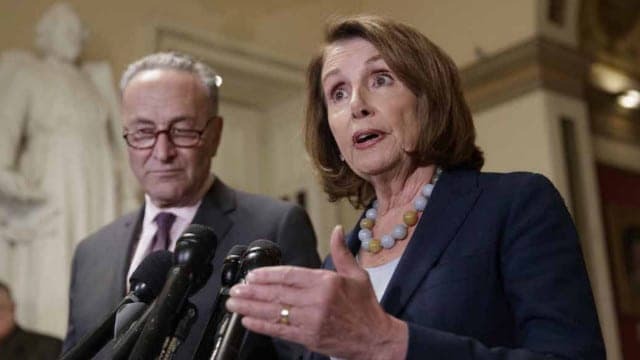 The Democrats, now openly on board supporting policies of infanticide, are pushing state laws that encourage abortions on demand; by keeping open America’s borders for the invasion of the peasant class; by proposing economic killing policies with their “New Green Deal,” and killing capitalism as a philosophy of theft. That is the Socialist mantra we’ll face during these next two years. In their determination, squads of Democrat politicians, some new ones, are lining up to challenge President Trump in 2020 for the leadership of our country.